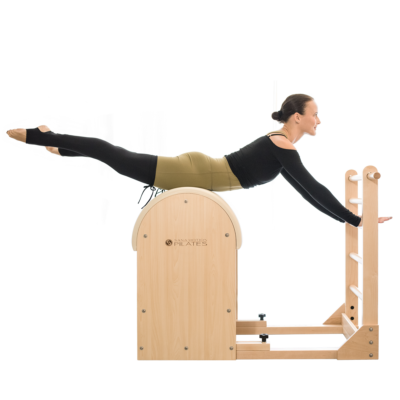 The Pilates Chair, traditionally known as the ‘Wunda Chair’ does actually do Wonders! 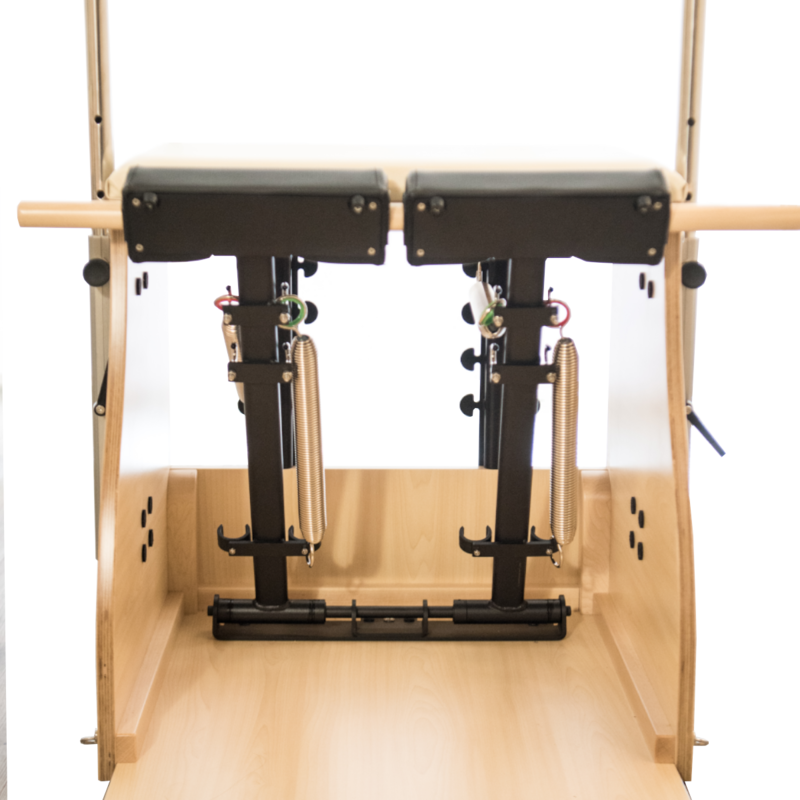 The Chair poses great physical challenges and a small workout using this equipment can leave you sweating and breathless! 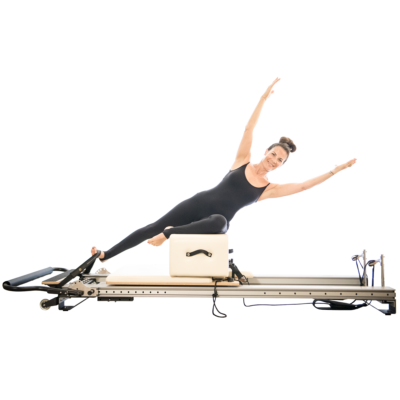 The Pilates Chair is a great machine that saves you lots of space. The padded split pedal allows exercises that use rotational and reciprocal movement of the extremities. 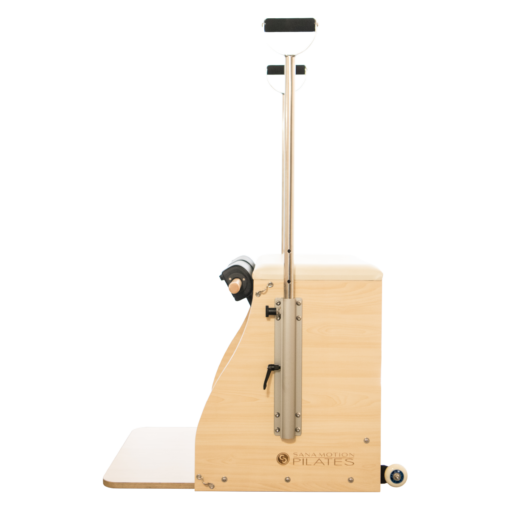 Each pedal has 2 springs (one light and one heavy), which enable the Chair to offer the widest range of resistance on the market – up to 41kg of resistance. 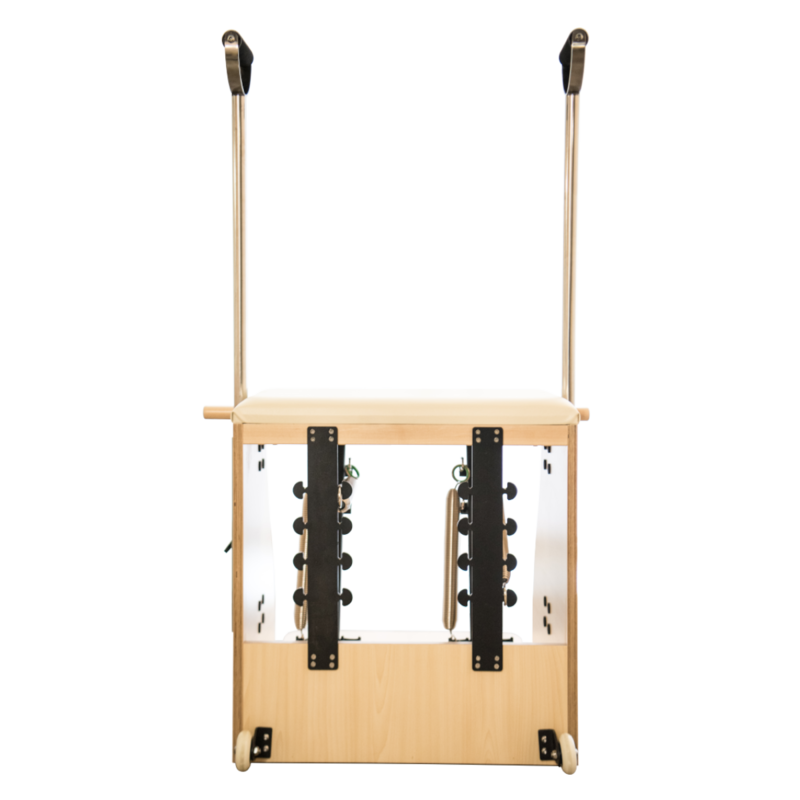 The height of the SPI Chair is ideal to use at the end of a Trapeze Table. The transport wheels makes it’s easy to move your chair when necessary. 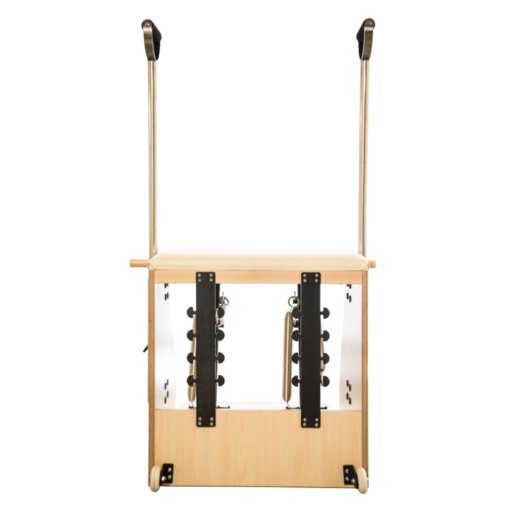 Springtree with Cactus Resistance System makes spring changes simple, fast and safe. 5 spring attachment positions (4 in back and 1 in front). Split and single pedal. For single pedal, insert a dowel (included). Pedals are comfort-padded, non-slip, and washable. Wheels for portability (mounted on back).